This blog was written by Ecosphere+, Jessica Verhagen, VP, Business Development & Strategy. Ecosphere+ is partnering with the Poseidon Foundation who are developing a solution, powered by blockchain, to enable anyone to own their carbon footprint. Imagine buying a pair of shoes and being able to address the carbon from those shoes’ production and transportation right when you buy them? This wasn’t possible before: we didn’t have blockchain to immutably and transparently track the carbon, point of sale integrations were cumbersome, and the carbon market only works in tons while a pair of shoes is around 12kg of carbon. 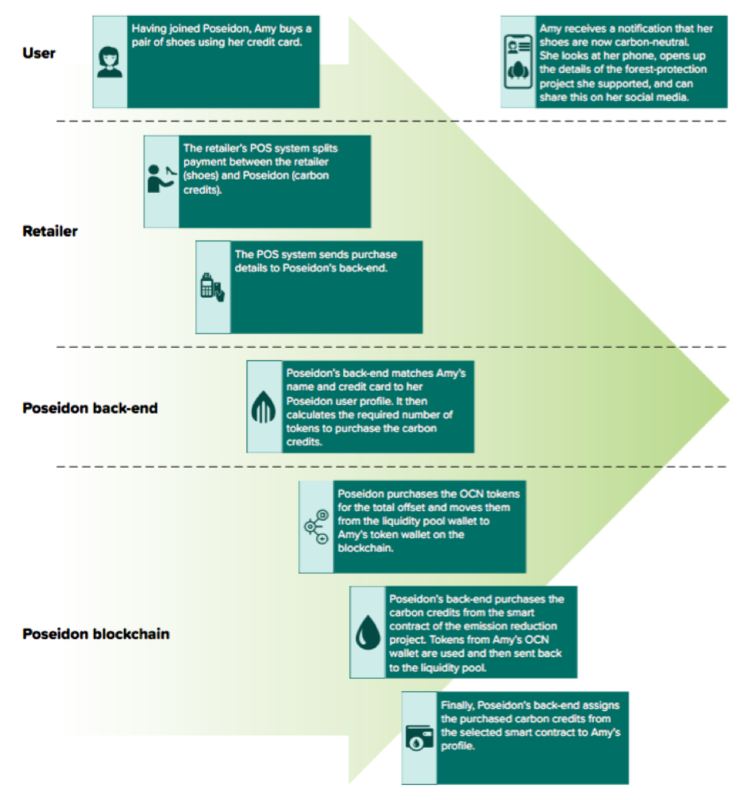 A typical retail user journey is shown below, linking a price on carbon to consumer products. Read the white paper published today to learn more. The full technology platform will be launched next June and there is a ramp up of pilots and beta testing along the way. You’ll be able to participate soon, whether you’re a retailer with products you’d like to be included or an individual wanting to opt in your purchases. In our last Ecosphere+ blog, we talked about millennials as a force for increased sustainability: millennials represent $2.45 trillion in spending power and over 70% of them are willing to spend more on brands supporting causes they care about. This of course isn’t just relevant to consumers, it is also important for attracting and retaining the best talent. Ease of use and hitting the right price point still do matter. Poseidon’s platform makes addressing your carbon footprint easy, but how much does it cost? You buy a latte and the cost amounts to less than a penny for the associated carbon. It doesn’t seem like much but the money collectively when we do this together goes a long way. Below are the impacts for all the lattes bought in the UK over a year – over 68 million trees protected! But wait… lots of us concerned about the environment have been reading about how much energy bitcoin uses. Are we just getting two steps ahead only to take one back? Not all blockchains are built the same. They use different mechanisms to come to ‘consensus’ with proof-of-work that Bitcoin and Ethereum use being the energy guzzler. 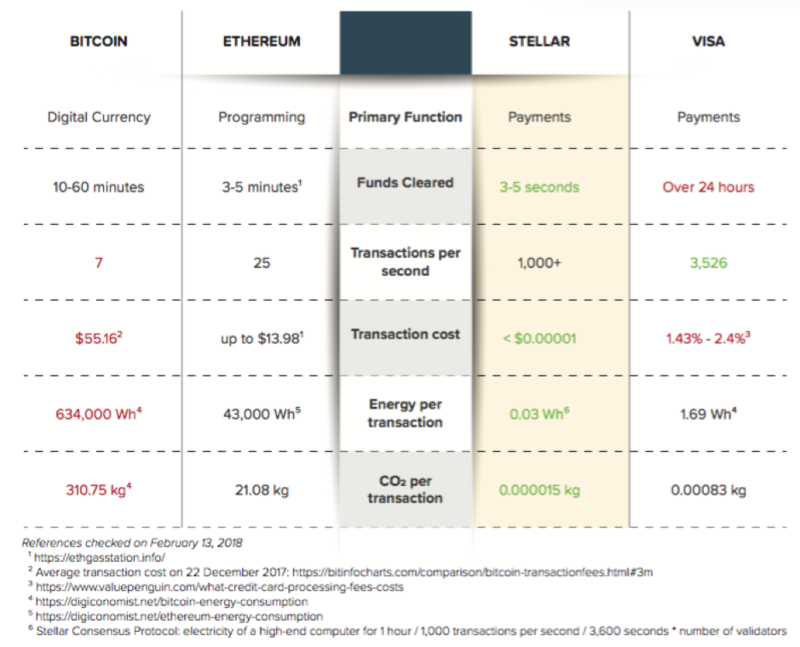 Poseidon is building on Stellar’s blockchain, which relies on social networks for consensus resulting in less energy used than a VISA transaction today. The other big environmental concern is about ‘double counting’, meaning someone could sell the same carbon twice. If you think of blockchain as a database, once a carbon credit or transaction for that carbon is added to the database, that record cannot be modified and can be viewed transparently by anyone. Of course, private information is not accessible like the credit card of the person buying it. Because each block must refer to the preceding block to be valid, it is not possible within Poseidon’s platform to sell any credit more than once. We all know the problem: the earth is heating up and all the commitments made in Paris don’t add up for us to live in a safe climate. 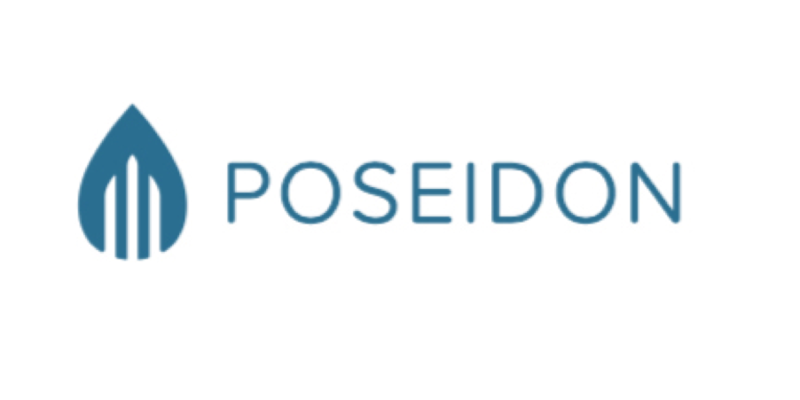 Now through Poseidon, we have a tool to help everyone be part of the solution and leave things better than we found them.